We are a family run company offering unique and safe art materials for everyone that wishes to create with Cold Wax. 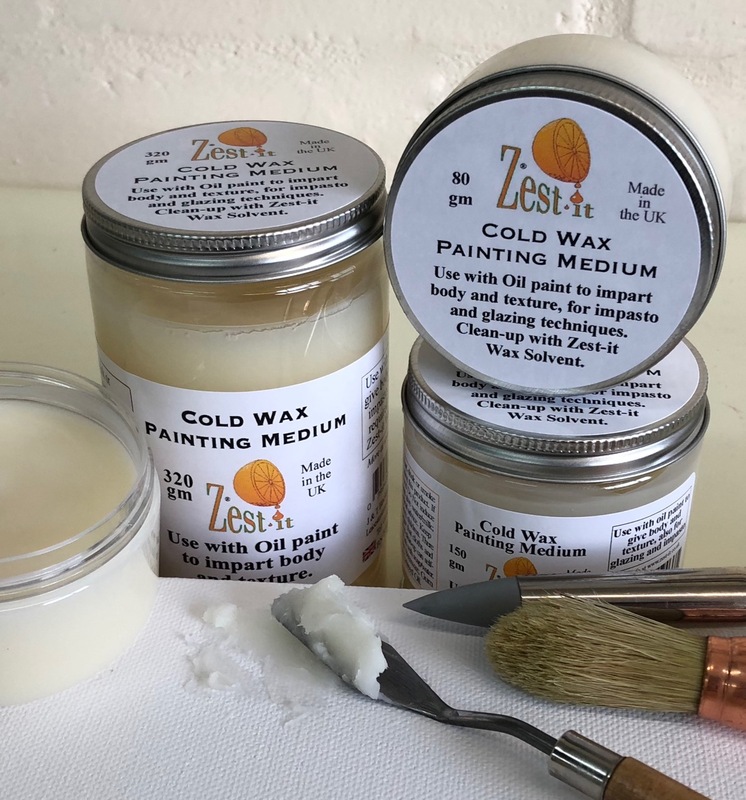 Zest-it Cold Wax Painting Medium can be mixed with oil paint, mediums, powdered metals, glass beads and more. 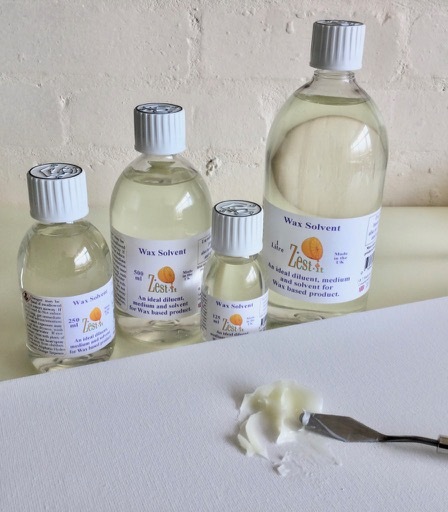 If you like to liquify your wax to create your art work, then try our suberb Zest-it LiquiBlend as it allows the wax to keep it's integrity. 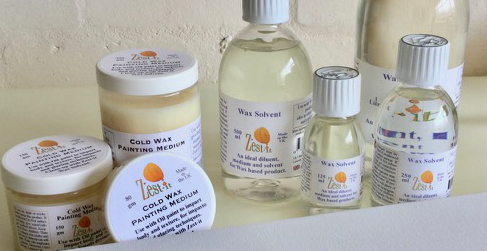 Use the Zest-it Cold Wax Solvent to thin wax and oil mixtures to make glazes and drizzles. Also use to clean your brushes and tools. If you use large brushes you can easily dry them on the magical Zest-it Absorbmant Mat. 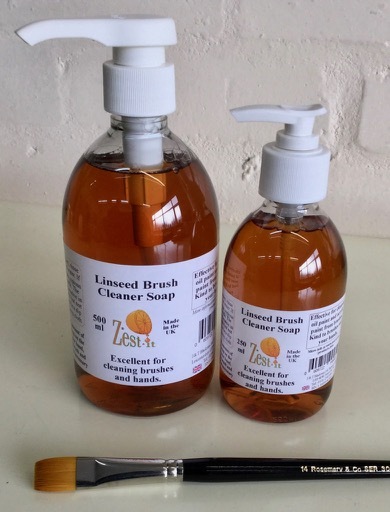 We have just brought out a wonderful Zest-it Linseed Brush Cleaner Soap which is great for cleaning your brushes and your hands too. Very gentle and yet powerful at the same time. 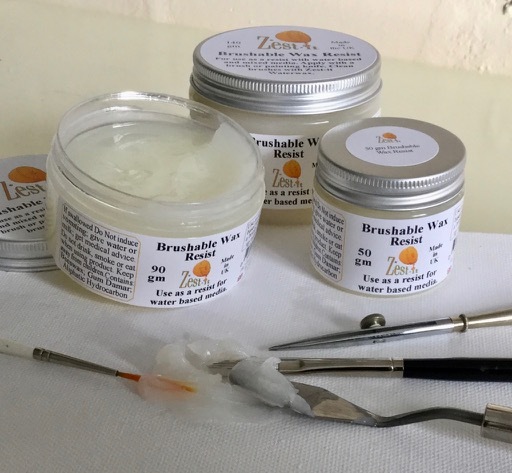 And for those that like to use a wax resist before appling watercolours then Zest-it Brushable Wax Resist is perfect for you. We hope our amazing products help you with your fantasic creations. Shipping estimates can be seen in your cart. Safe and secure site. We do not sell, giveaway and use your data for anything other than your orders. Purchase your Zest-it Cold Wax Painting products with confidence on our secure website.